Ammo arrived quickly. Shot half a box. No problems. Performed great. 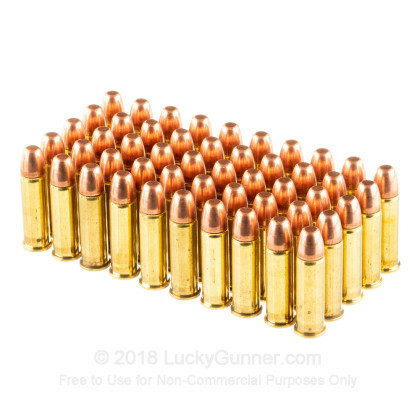 This is superb ammunition, and Lucky Gunner is a terrific company: they only advertise what they have in stock and their customer service is unsurpassed. Great Ammo and Outstanding Supplier!! 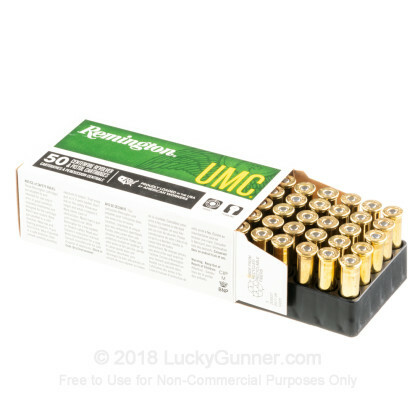 I was lucky enough to order this Remington ammo a couple weeks ago when supply was even worse than it is now. Great product!! I ventured out to see what other suppliers had in stock and what their inventory levels and shipping terms were. FORGET IT!! Lucky Gunner is THE ONLY ammo supplier I will EVER use. The "on-line" and immediate inventory system is totally awesome!! Great job Lucky Gunner!! Hang in there during these times and thanks. Great ammo. Good pricing with no failures. Wonderful supplier. I have shot 100 rds. through my Ruger LCR with no problems. 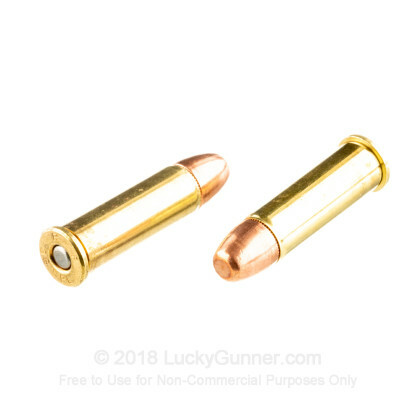 The ammo shot clean and was easily fed in the revolver with speed loaders. 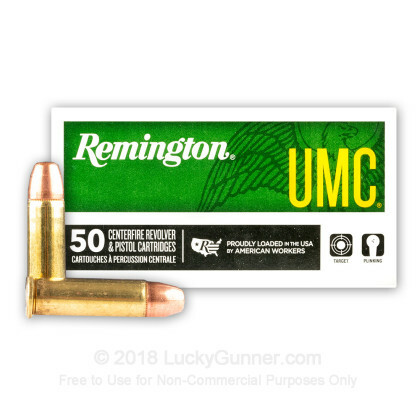 I spent a little more on the Remington name, but for a couple cents a round felt it was an easy decision. 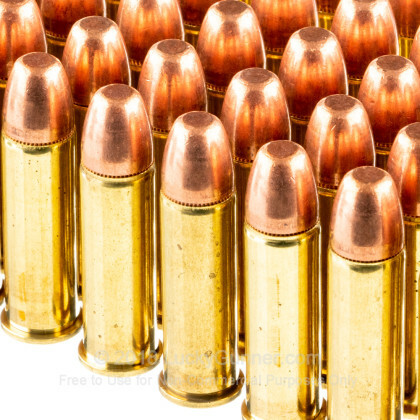 Received ammo quickly through the mail with no hassles or issues. I will definitaley be purchasing all of my ammo from Luckygunner!!! 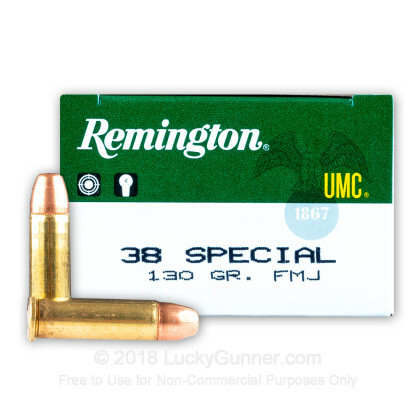 We also have this 38 Special - 130 Grain MC - Remington UMC - 500 Rounds ammo in stock in a bigger quantity.